Today on Gettin’ Better with Ron Funches, I go through my week, talk about my friend Barry the art guy, finding your niche, seeing Carol Burnett live, and much more! 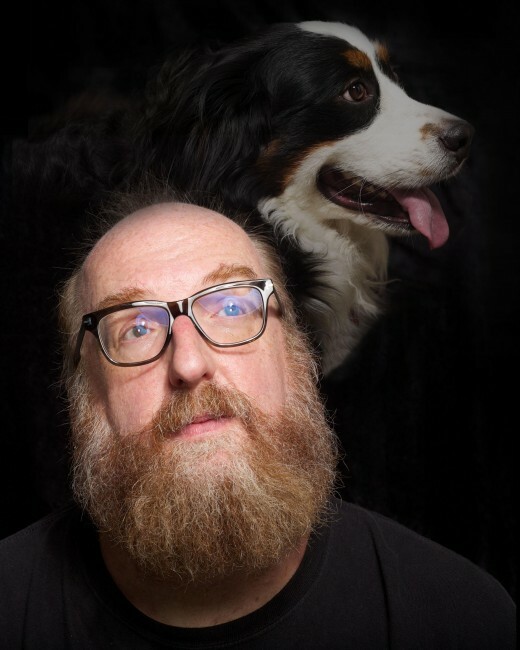 Then I sit down with my guest Brian Posehn. Brian and I talk about being nerdy in comedy, video games, wrestling, taking bad advice, being a fan of things, and how Brian is gettin’ Better. 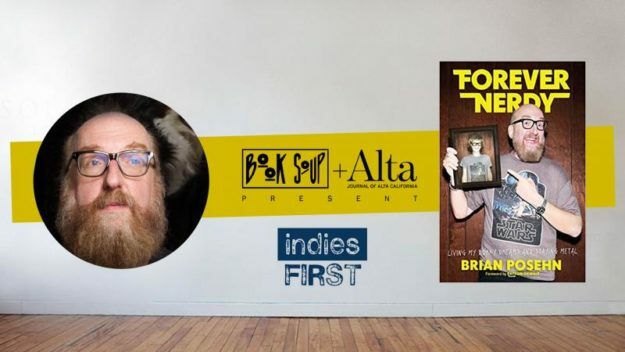 Get Brian’s book “Forever Nerdy” Today! Forever Nerdy is now available on Audible! Need a last minute gift for a nerdy stoner metalhead friend or person you love? 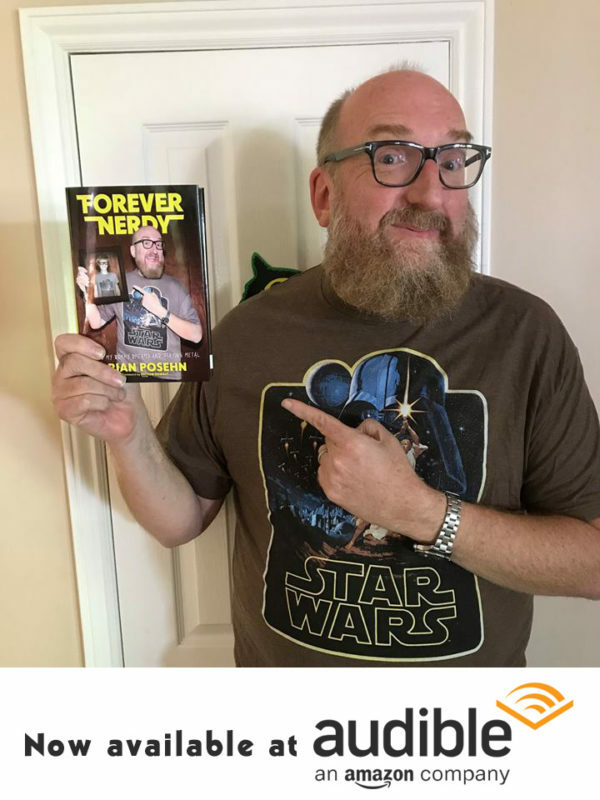 My book “Forever Nerdy” is now available in hardback, kindle, audio CD and at Audible! This even has been canceled due to Brian getting the flu. He is super bummed and very sorry. 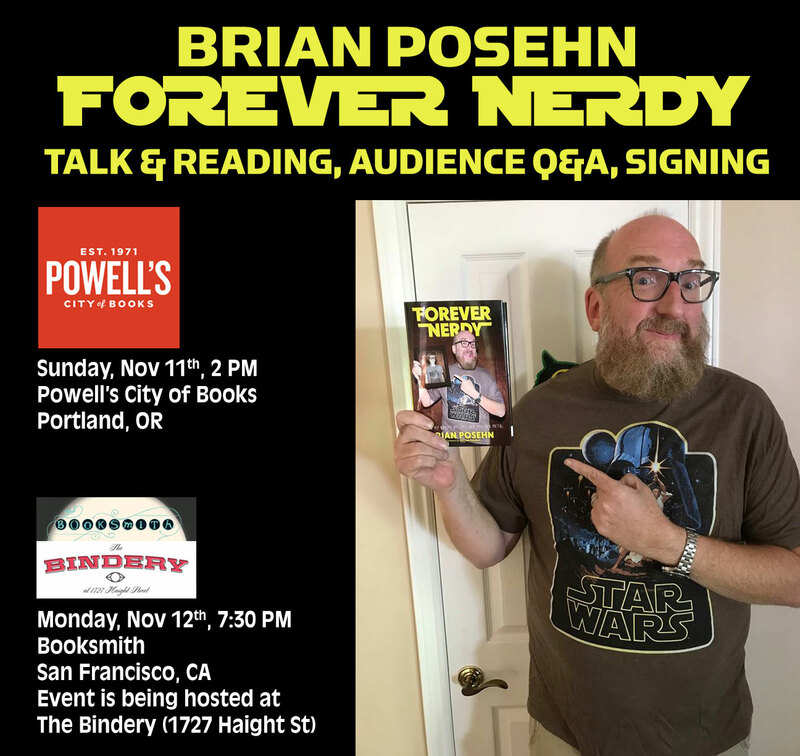 I’ll be discussing and signing “Forever Nerdy: Living My Dorky Dreams and Staying Metal” This Tues. Nov 20th at 7PM @BookSoup 8818 Sunset Blvd. West Hollywood, CA! 311 Caribbean Cruise · March 1-6, 2019 · Tampa to Harvest Caye, Belize & Costa Maya, Mexico! 2,700 311 CRUISERS. 5+ VENUES OF MUSIC AND FUN.DOZENS OF SHOWS BY SOME OF YOUR FAVORITE ARTISTS.ONE OPEN OCEAN. BEST WEEK OF YOUR YEAR. 311 Nation! We invite you to leave the real world behind as the 311 Caribbean Cruise returns for our sixth epic adventure at sea! Join us on the luxurious Norwegian Pearl from March 1-6, 2019 as we leave from Tampa, Florida and sail to two exotic destinations: Harvest Caye, Belize and Costa Maya, Mexico! We’re stoked to travel to our very own private island in Belize where our 311 community can soak up some quality island-time together! 311 is inviting some of your favorite artists, DJs and comedians to keep the good vibes flowing on board! 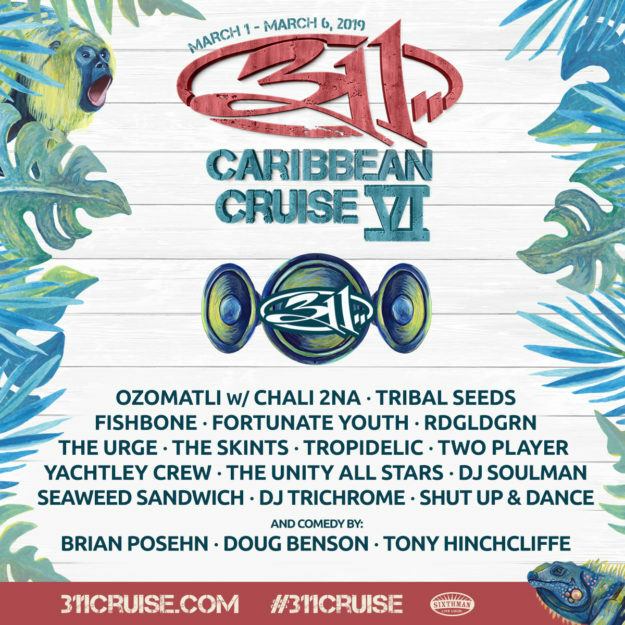 You’ll get three 311 Pool Deck shows, a personal photo with you & your cabinmates with 311, fun theme nights and new onboard activities with the artists on the lineup to round out your onboard experience. There’s nothing better than connecting with fellow 311 fans to become one happy family at sea! Please note, there will not be a 311 Caribbean Cruise in 2020—sign up for our wait list now for your chance to sail in 2019! San Diego, CA - The American Comedy Co.